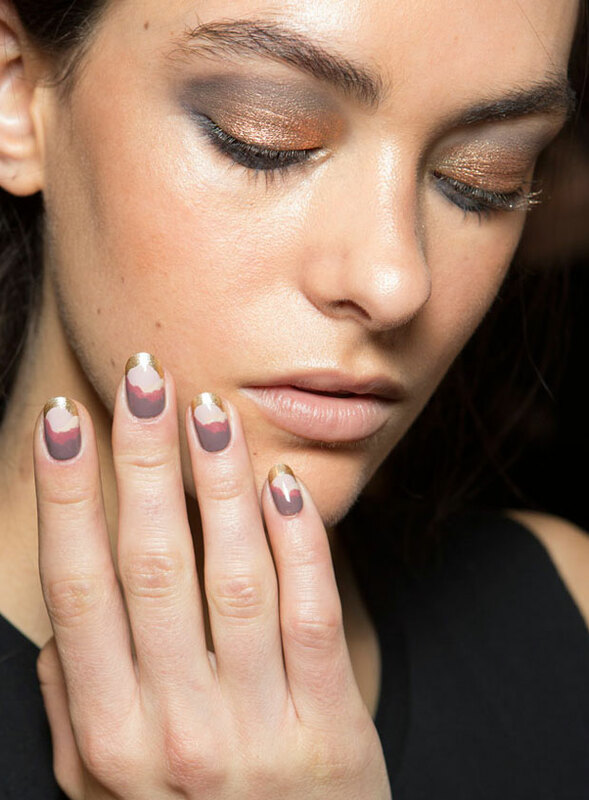 “The inspiration was Star Wars—and the beautiful sunset scenes from the movie,” said nail artist Alicia Torello backstage at Mara Hoffman. 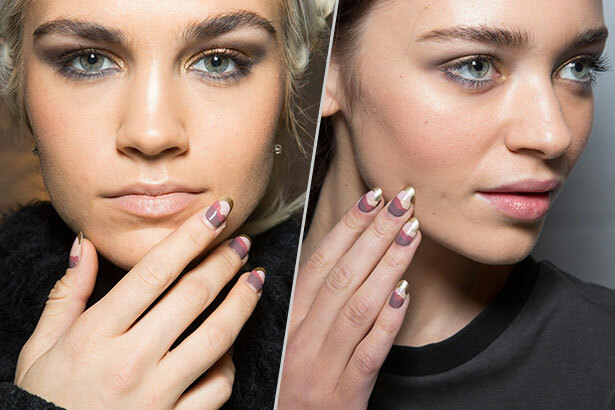 The colors in the Fall 2015 collection were earthy tones and had a 70s vibe, so Torello used five different shades of Zoya nail polish to free-hand design the coolest nail art we’ve seen so far this week. The design looks intricate—because it is—but it’s kind of foolproof and a great DIY option for budding nail art enthusiasts. “I used Ziv as the base, and then used Brittany to create the sun accent,” explained Torello. After painting the main parts of the design, she swiped on the three other colors—Taylor, Aubrey, and Normani—starting at the bottom, in diagonal shapes using just the brush that comes with the bottle. “It’s really natural and the shapes are all different so it’s really easy for anyone to do at home,” said Torello.